Stories are what stick and enable us to make connections to the work we do. That's why every student should take a class on storytelling, regardless of major or discipline, UW student Aleenah Ansari writes. I believe that the most powerful thing that we can give each other is stories, so here’s one that hits close to home. Once, there was a little brown girl growing up in Federal Way. She had the wildest dreams of changing the culture by making things with her hands, like novels and holiday cards that weren’t just for Christmas but also Ramadan and Kwanzaa and Hanukkah. But when she opened her storybooks, and textbooks later in life, she never found people who looked like her. Where were the queer brown girls who are creators and changemakers and people of impact who looked like her? Instead, she read terms like “reverse racism” in her U.S. history textbook, and never read about the history of her family during the India-Pakistan partition nor the tensions that still exist because colonization drew borders through communities. She eventually got to college and had autonomy over her education, so she chose to pursue a degree in engineering. She would create things and solve problems as she dreamed. Yet even here it was hard to see herself, having just two professors of color during her entire college career. The little brown girl’s story is my story, but it’s not only my story. Stories about tech and engineering tend to prioritize the experience of white, upper-class, able-bodied and heterosexual men — which meant I never saw myself represented in stories of innovation. Throughout my education, I asked myself, “How could I, a queer Pakistani woman, be creative enough to make something out of nothing?” What I really needed was the opportunity to see people like me finding strength in their own stories. This is the story I told about myself during my technical-communication class with other engineering students. We were asked to write and present a pitch, so I decided to share a little about myself as a way to promote a storytelling workshop for middle-school classrooms, one that would challenge the prevailing narrative about who can become an engineer or innovator. If stories could validate my own identity as a queer woman of color and a daughter of immigrants, they could do the same for many other identities. I received so many comments from my peers about how they identified with my story and remembered it even after I presented. What made this presentation successful? In contrast with my peers who began their pitch with a related fact or statistic, I wanted to be vulnerable and tell a story about my identity that tied into the broader issue of the lack of representation. This made me realize that most people in my engineering department had not been taught how to tell a story about their work. Our coursework teaches us how to follow the user-centered design process, through brainstorming, conversations with potential end users and user testing to iterate on a prototype until we arrive at a final product. What we don’t focus on is how to tell a story about the things we made. This is why I think every student should take a class on storytelling. Stories are what stick, and they enable us to make connections to the work we do. Storytelling is a valuable skill that can be applied in any field — not just traditional writing and marketing jobs. It’s important to know how to sell your experience or idea and why it’s commercially viable or worth investing in. The most successful professionals I know in tech know how to distill complex problems in a story where they make a case for their solution. Journalists and writers do this on a daily basis, but everybody benefits from knowing how to tell a story about the things they care about — and want others to care about, too. 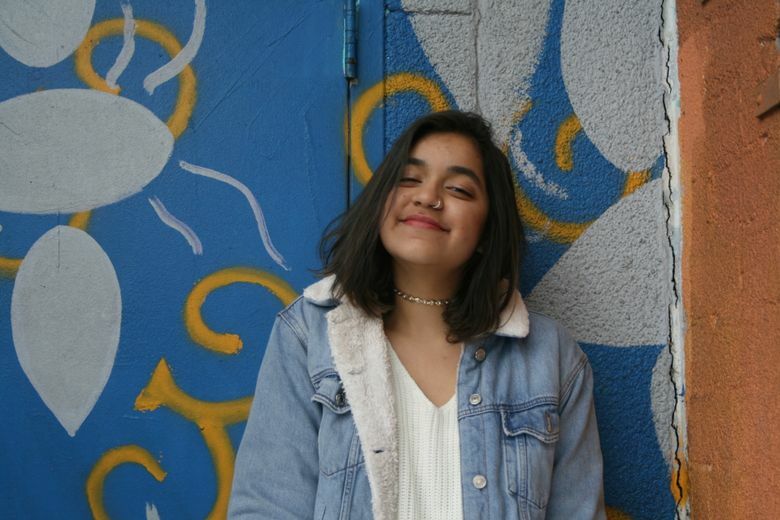 Aleenah Ansari is currently a student in the Department of Human Centered Design & Engineering at the University of Washington and strives to use writing and conversation to understand what matters most to people.